Discussion in 'General Pokémon Discussion' started by shoz999, Jan 20, 2019. I liked the "Did You Know" facts thread so much that I wanted to make a new one especially finding something that caught my eye. What caught my eye is a location that was never featured in the games to this date, made it's first story-debut in the Pokemon Adventures manga but is actually canon and very important to the video games timeline, has been referenced a few times in the anime that you can't help but think... why is this location not featured in the Let's Go remakes? This is such a huge missed opportunity. In 1998, the publishing company Shogakukan who is known for publishing all sorts of Pokemon mediums including Pokemon Adventures, started a special Magikarp Giveaway event featuring the location Celadon University which has never appeared in the games. Part of the promotion came with an special Magikarp that knew Dragon Rage, an exclusive Magikarp TCG card, a badge based on the university's crest, a Celdaon University Student ID card, a Celadon University notebook and a Celadon University student's book called the Encyclopedia Pokemonica which answers some of the mysteries of the Pokemon World, most notably that in the year 1925, a professor named Prof. Westwood of Celadon University developed the very first modern Pokeballs. Who is Prof. Westwood? He's actually a character of the day who made his first appearance in the Orange Islands season of the Pokemon anime who studies Slowpoke's evolution. According to the book, he's a canon character of the video game timeline and not only just canon but central to the Pokemon universe as one of the most important characters to exist, the creator of the modern Pokeballs. However it should be noted that the history of the Pokeball is somewhat contradictory and such information could easily be cast aside in the future. Still it's interesting and there's more. In 1998, Celadon University actually makes it's first story-debut in the Pokemon Adventures manga, Yellow Chapter. 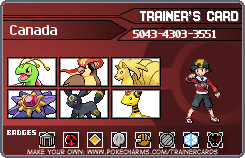 Pokemon Adventures is well-known for giving other jobs to Gym Leaders other than battling new and upcoming trainers so can you guess who works at the Celadon University? 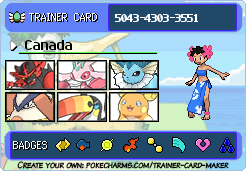 Erika the Celadon Gym Leader is not only a gardener and master archer but she's also a respected University Professor of Celadon University. Celadon University would later make another physical story-debut an year later in the Pokemon Gotta Catch 'Em All manga but the interesting stuff does not end there. Celadon University would actually be referenced a few times in the Pokemon anime. It's never been physically seen in the anime but it's mentioned for the first time by Nurse Joy who claims to have studied there in the episode, "Chikorita's Big Upset". It would later be mentioned in another episode called "Fossil Fools" where Prof. Oak claims that he used to work there as University Professor. Why isn't Splash - that much-reviled useless move that every Magikarp has - a Water-type move? Well, it's actually a mistranslation. In Japanese, Splash is called Hop. This somehow got translated into English as "Splash", which may explain why Magikarp has it. It's not a Water-type move because of that mistranslation. M.P., Spider-Phoenix and shoz999 like this. That's blowing my mind because of how much sense that makes. Hoppip also has that move. I always wondered why Hoppip could use splash until now. M.P., NovaBrunswick and Spider-Phoenix like this. Here’s a bizarre fact that I saw for myself that really isn’t related to the series itself but rather what it is involved with. 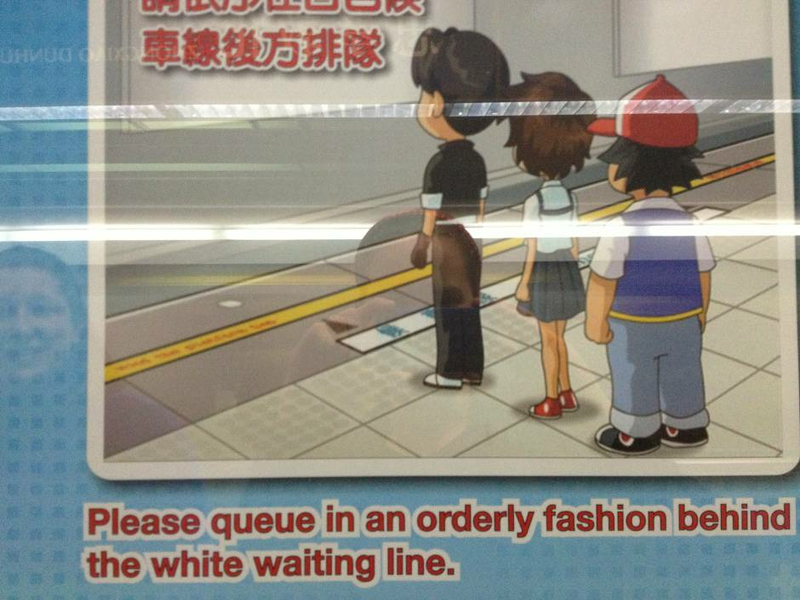 In the Taipei Subway Metro, Ash can clearly be seen from behind waiting for the metro on screens giving safety info. An interesting fact is that almost every fully evolved pokemon introducted in gens 6 or 7 had either an unique type combination, a signature move or a signature ability or some kind of gimmick. When the first main series games which they were on was released. The only exceptions to this rule are Avalugg, Noivern and Vikavolt. But then again Vikavolt's pre-evo has a signature ability. And Noivern is the only dual-typed Flying type pokemon with flying as it's primary type. The development history behind Pokemon Adventures is one that is not as well-recorded as it's anime counterpart but whatever information that does exist, it's certainly interesting. Pokemon Adventure's Writer Hidenori Kusaka's Pokemon Avatar, Electrode & Pokemon Adventure's Artist Satoshi Yamamoto's Pokemon Avatar, Swalot. The birth of Pokemon Adventures actually starts with Nintendo and Shogakukan who contacted Hidenori Kusaka who would later become the writer for Pokemon Adventures. An editor took a look at his story ideas and was quite intrigued by what Kusaka's storytelling skills had to offer even though he had never written a manga before. Kusaka is a massive fan of manga since he was a child and is already a Pokemon fan when the very first Pokemon games were released some time ago. Luckily for Kusaka, the Pokemon craze was in motion and Nintendo wanted a new Pokemon manga. That editor said, "We are going to start doing a manga series of the Pokemon story. Would you like to work on it?" This was a dream come true for Kusaka and he couldn't refuse the offer. To this day he has claimed he is grateful for GameFreak's work on the Pokemon series. Kusaka teamed-up with manga artist Mato to create a new Pokemon manga series. Kusaka's vision for this series was pretty simple. To make it feel like the reader was playing a Pokemon video game. Kusaka wanted the manga to make all Pokemon look attractive because he wanted Pokemon fans to have a new appreciation for them. He would mostly include only trainer classes from the games as trainers and felt the need to balance the number of Pokemon trainers and Pokemon were important to being faithful to the games. He also took heavy consideration where Pokemon lived as can be seen with the character Red stating his shock to find a Dratini in the Viridian Forest. 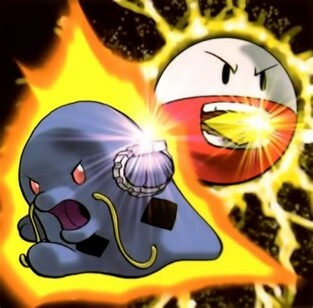 One of his favorite Pokemon was Red's Poliwrath. Although not stated, it's believed that Red's first Pokemon, Poliwag, is a reference to Satoshi's favorite Kanto Pokemon, Poliwag. The writer has stated that Poliwrath's addition to Red's team was because he looked like a superhero. 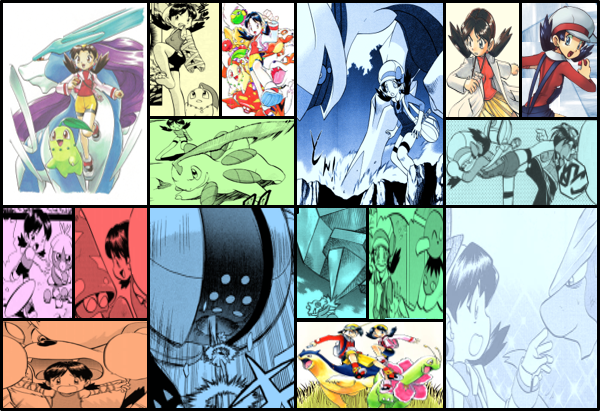 In March 1997, Pokemon Adventures was born and fans saw a new side of the Pokemon series. It became Pokemon's second biggest story long-runner and is probably something not even Kusaka was anticipating especially considering that the Pokemon series was originally supposed to stop at Gen 2. However with that success comes some hardships. The saddest and hardest departure from the Pokemon Adventures team was Mato, the manga artist who did all the artwork for the Pokemon Adventures manga previously. 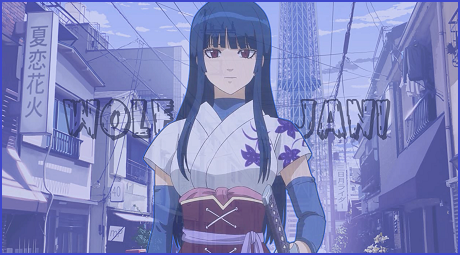 Her departure affected not only Kusaka but also the fans as well. She was sick and this pressured Kusaka to either choose another artist or cancel the series. Hardly anybody was on his side and Kusaka felt like he needed to continue the manga. He says this was the toughest moment in his career. However he also claims that his opportunity to meet Yamamoto, the next Pokemon Adventures artist, was also his best moment. Satoshi Yamamoto was the next Pokemon Adventures artist. Unlike Kusaka, he was not even a Pokemon fan, at least not yet. In fact he claims that being the next Pokemon Adventures artist early on was one of his most depressing moments. Before he took the job as Pokemon Adventures next artist, he was working on other proposed ideas that were often rejected by the publishing company. It seemed like he wasn't getting anywhere until he was offered a proposal to work on Pokemon Adventures by his editor claiming that Kusaka was looking for a new artist. Yamamoto didn't start off so easy when he accepted this proposal. In fact, he started off his new job with a lot of pressure and criticism from older Pokemon Adventures fans who were against the artist change and demanded Mato back. Mato's departure affected the fans so severely that he claims the pressure to live up to their expectations was so bad that he got depressed every time he opened a Pokemon Adventures volume featuring Mato's artwork. What carried him on is that after working for an year with Kusaka, he was amazed by Kusaka's storytelling skills and wanted his artwork to give a good impression to the fans. Over ten years of working on the Pokemon Adventures manga, Yamamoto has claimed, "there were more positive messages than negative ones, and I could finally feel relieved. I've heard it said that when you're under a lot of rejection, you get motivated to do better. I've even heard that my best moments as the Pokemon manga artist were at the beginning. Some people even ask me to return to my old drawing style." Fans were loving Yamamoto's artwork years later. Over the years, his work has even been compiled into an artbook called "Pokemon Adventures 20th Anniversary Illustrationg Book" or simply, "The Art of Pokemon Adventures" released for Pokemon Adventures 20th anniversary. Since Pokemon Adventures success, the Adventures manga's process of adapting the games to the manga has changed in structure slowly over time, undergoing through a somewhat similar process of adapting the games to that of the anime actually. One of the most time-consuming areas that the writer and artist has claimed is actually playing the games themselves. According to the writer, they get the game two months before release so they can get acquainted with the story, prepare new scripts and passing on feedback. Yamamoto receives work from the design team responsible for new Pokemon and human characters in order to understand how these Pokemon and human characters could function in the next chapter of Pokemon Adventures. "You can't afford to create a manga that people playing the video games don't like. On the other hand, if everything was exactly the same between the games and the adaptation, the manga would be boring. When you're playing a Pokemon game, you put yourself into the character, whereas an established character has to drive the story in a manga. We have to create good characters and surprise people as they're reading. That balance between what we have to change and what remains the same is probably the most difficult part." "Every time there's a new video game, there's also a design team responsible for the new Pokemon creatures and human characters. I receive their work and I have to follow and respect some guidelines, so I try to attach my own creativity to all that. But there's also some parts where I have more freedom, so that's up to my imagination. For example, there's an original idea in the manga devised by me, which is that every character has their own way of catching Pokemon." Similar to the anime, GameFreak and the Pokemon Company gives them a style guide for all the characters and new Pokemon but sometimes that's not enough for Yamamoto when drawing artwork for the manga. When drawing Pokemon he considers what the animal the Pokemon might be based on and observes how they move through animal videos such as Animal Planet or National Geographic. Sometimes when it comes to canine Pokemon, he looks at his own dogs and facial expression. Sometimes even that's not enough as he will use human-like facial expressions to get an idea what kind of emotions Pokemon might convey. In fact when he draws humans, he takes a photo of himself or looks in the mirror as a reference. Not only that but according to Kusaka, the freedom they currently have is much different than before. He stated that originally they did whatever they wanted but since the Pokemon business itself has become bigger and bigger, Kusaka has taken more careful consideration of different factors and issues. One of the biggest challenges according to writer Kusaka is that just when he is about to wrap up a story, someone tells him that they have to continue the story. This is most likely referencing story arcs that are adapting new content from enhanced versions or remakes of Pokemon games. According to Yamamoto, one of his biggest challenges in drawing in-general is that he doesn't like to draw the exact same kind of facial expression twice and is something he claims is very hard to avoid. Currently right now, Kusaka and Yamamoto has stated that Sun and Moon are probably the most difficult game adaptations they've ever faced due to it's more "cold plot", probably referencing that Sun and Moon's story-line is seen as one of the more developed but also darker story-lines of the Pokemon series. Due to BW2's hiatus, Pokemon Let's Go games and the introduction of Pokemon 8th Gen soon, the writer and artist has a tight schedule to meet for Sun and Moon. Yamamoto stated that "every new Pokemon saga is difficult in terms of transforming the video game content into manga. In my personal case, I have to face the situation of 'I'm so sleepy but I can't sleep now because I have to deliver this work soon.' It's my creative strength. (laughs) I love drawing, but sometimes I can't put everything I want on paper because of the short amount of time, and that can make me suffer." During Comic-Con International 2016 in San Diego, when asked about what they think appeals to audience the most, they believe it's character design. Yamamoto answered, "Every new game is an evolution of the previous one, each more appealing and easy to play. That's something I think as a player, not as someone involved in the project. I also like the fact that the character designs are not extravagant, they're not disruptive nor too elaborate, but something attractive for both children and adults. They are never too risky from a design point of view, but they are rather nostalgic. An experienced player can always feel familiarity in them." It's interesting to note that this type of viewpoint can be seen in the manga-exclusive character Yellow whose clothing is quite simple and fits the outdoors vision Satoshi Tajiri, the creator of Pokemon, has for the series. As you can tell there are a lot of challenges that go into the Pokemon Adventures manga. Again in Comic-Con International in San Diego of 2016, Kusaka and Yamamoto was asked what their favorite thing about Pokemon Adventures was. "The fact that everything is connected, so we are able to continue working on this story without really getting rid of anything we have built up to this point. I like that. A lot of American comics will reboot and revamp their series. They like to put all that they have written in the past aside and totally think of a new story, but I like the fact that our story really takes in all that has happened in the past and just continues that." "I always think about what the Pokemon are thinking or saying, and then make expressions that would really make the readers think, 'Oh, that is exactly how it would look, how it would be.' When that match is made perfectly, I really enjoy it." Why does that look like Ash if he actually aged in real time? Pokemon Black 2 and Pokemon White 2 are interesting in that they are the very first sequels set in the same region, taking two years after the original games. According to an "Iwata Asks" around Pokemon Black and White 2's development, the goal behind the games was simply to surprise Pokemon fans who expected the same consistent release patterns as before such as Yellow, Crystal, Emerald and Platinum. Instead of an enhanced version, it was practically a new game. It was also a surprise that not only was it a sequel but it was released as two separate games, the devs explaining the reasoning for two seperate games is that there were some mechanics that only worked with BW2 and not the original BW games. Grant it much of these answers seem a bit vague behind BW2's development at first. According to some of the people who work at Nintendo of America, the goal really was to surprise fans in that this was a game made for the fans in-mind. As this was a sequel and not the start of a new generation like the original Black and White, there would be much more freedom to streamline grinding such as the noted changes in EV values and the White Treehollow/Black Tower that allowed a more "fun" way of grinding levels. Other things are noted are the tons of post-game content outside of the Elite Four, the Pokemon World Tournament which serves more than a tournament but also fanservice to long-time Pokemon fans and also expanding past the original 156 Unova Pokemon by including much older Pokemon from previous generations. Not all Pokemon who appear to be based off juvenile animals are classified as baby Pokemon, only a select few are. So, it's quite surprising that Teddiursa, a bear cub, can breed, but Pichu, a mouse pup, cannot. 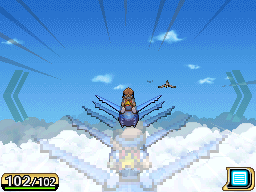 Did you know that the soaring feature in the Pokemon ORAS remakes where you can travel to a number of locations by flying, especially on a Latios or Latias, isn't actually new to the Pokemon series? The "soaring" mechanic made it's first appearance in Pokemon Ranger Guardian Signs and like ORAS, you could also fly on Latios or a Latias once you've befriended one. Whereas Latios and Latias is based on the versions in the ORAS remakes, here it's based on the gender you pick. 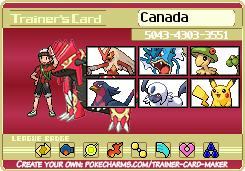 If you choose the boy ranger, you'd befriend Latios and if you choose the girl ranger, you'd befriend Latias. 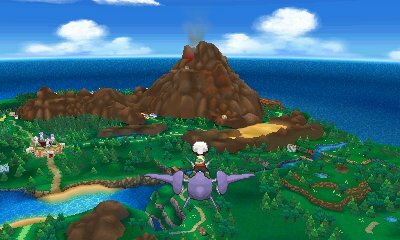 Like ORAS, you can also travel to several locations of the Oblivia region and even encounter wild flying-type Pokemon in the skies, the obvious difference being that instead of the entire region in full 3D graphics in it's full visual glory, your stuck flying above clouds that hover over the Oblivia region.